With the support of our highly experienced and skilled workforce, we are renowned as one of the well equipped manufacturers and suppliers of Decorative Wall Candle Holder. This brown polished decorative wall candle holder can be easily placed in your room to originate a sense of style and fashion in the décor. The offered range is a both utility and decorative item that has been made from quality iron and given a sophisticated finish for rust proofing. 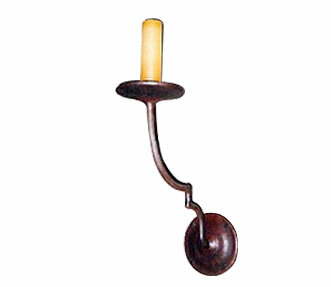 The offered range of candle holder is easily available in numerous designs at market leading prices. Description : These brown polished decorative wall candle holders can be easily installed in your room to emanate a sense of style and fashion in the ambiance.